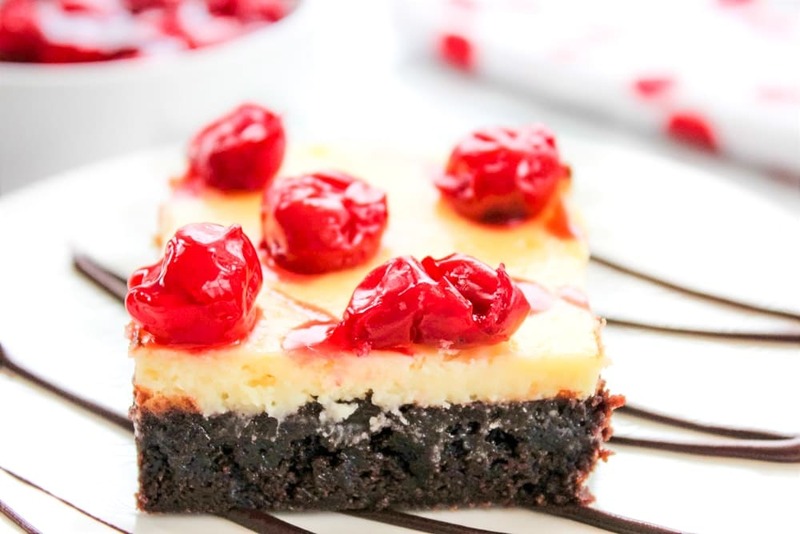 These Cherry Cheesecake Brownies combine two incredible desserts: cherry cheesecake and brownies! 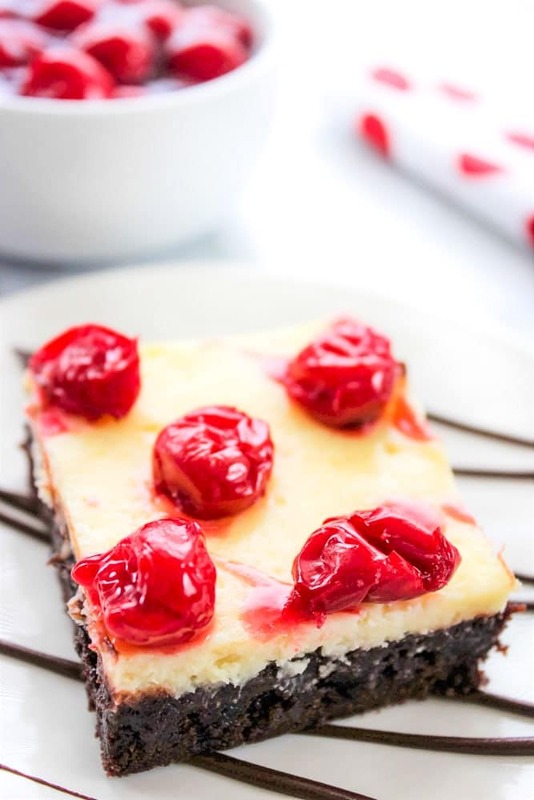 Fudgy brownies layered with creamy cheesecake and cherry pie filling are hard to resist and make the perfect easy dessert for any occasion. I post a lot of amazing dessert recipes on this blog, and I have a good amount of favorites— but if I had to rank them, this Cherry Cheesecake Brownies recipe would for sure be in the top five! 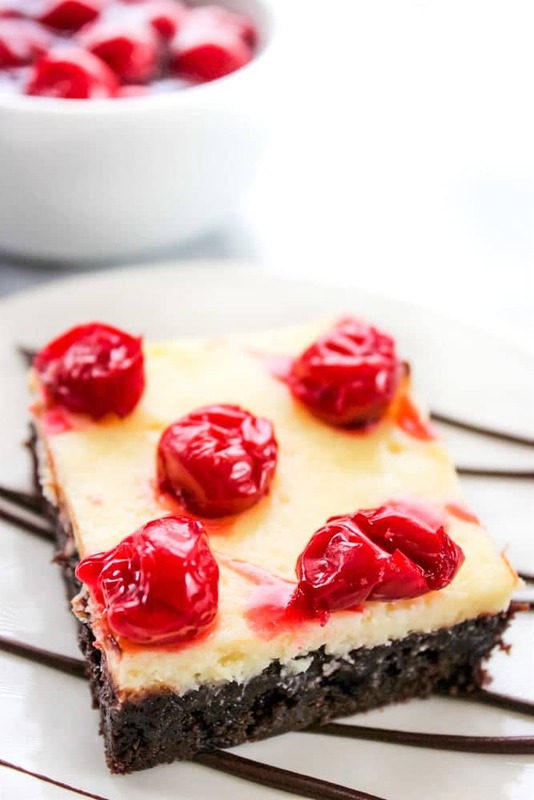 There’s just something so delicious about chocolate and cherries….and then when you add cheesecake to the mix, it’s almost too good to be true! I’ve made these cherry cheesecake brownies at least a dozen times over the years and I’ve never been let down. 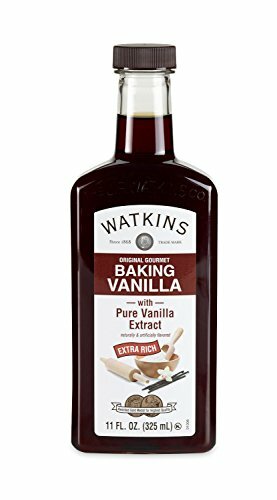 This is one of those desserts that you’ll want to make extras because they are always the first to go at parties or events. Even at home, my family devours these cheesecake brownies with cherry pie filling before there’s even a chance for leftovers. If you need an easy and delicious dessert for any occasion, these Cherry Cheesecake Brownies are the answer! 2. Grease a 9×13 pan . 3. 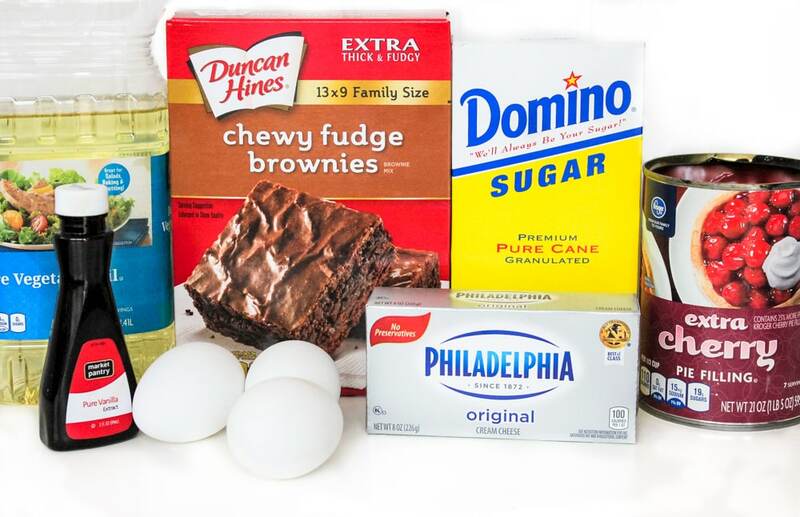 Prepare brownie batter according to box directions. 4. Pour batter into prepared pan and level. 5. Beat together cream cheese, sugar and vanilla. 6. Add beaten egg and beat to combine. 7. Gently spread cream cheese mixture on top of brownie batter. 9. Distribute cherries from pie filling around the top of the pan. 10. Return to oven and bake additional 10 minutes. 11. Allow to cool on the counter for 45 minutes. 12. Refrigerate for several hours before cutting. 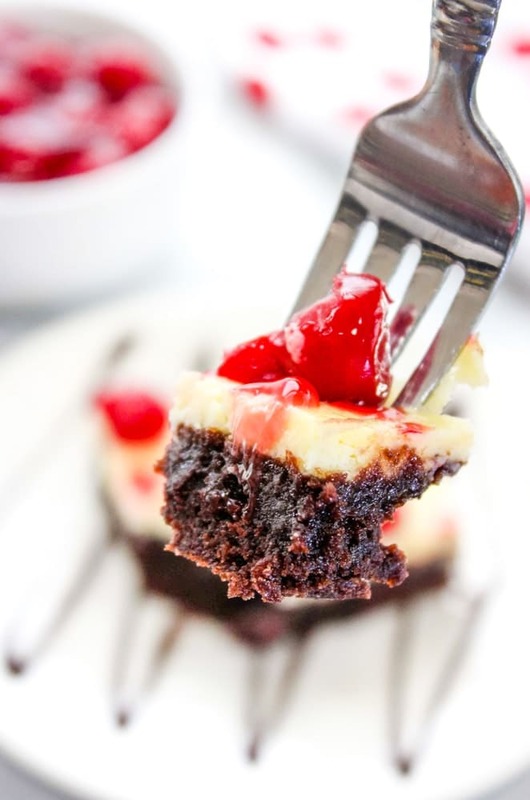 In the recipe and photos, the cherry pie filling is added to the top of the cheesecake brownies in dollops. If you want EXTRA cherry flavor, feel free to spread the cherry pie filling more liberally on top of the cheesecake brownies. Alternatively, you can create a cherry cheesecake swirl by adding the cherry pie filling with the cream cheese (cheesecake) mixture in step 6, and then run a knife through the top to make a marbled or swirled look. From there, bake for 35 minutes or until cheesecake sets. 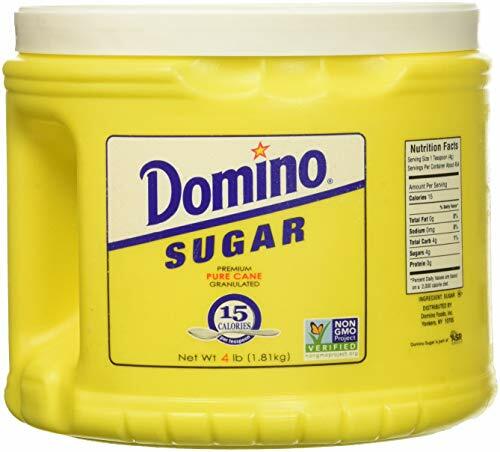 Allow to cool and then refrigerate until ready to serve. 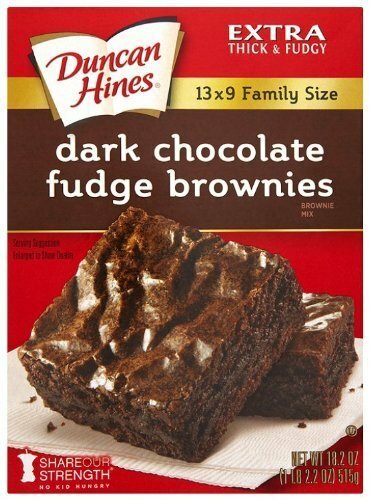 Prepare brownie batter according to box directions. Pour batter into prepared pan and level. Beat together cream cheese, sugar and vanilla. Add beaten egg and beat to combine. Gently spread cream cheese mixture on top of brownie batter. 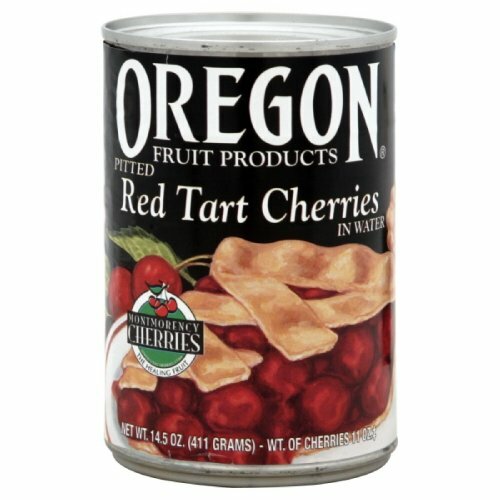 Distribute cherries from pie filling around the top of the pan. 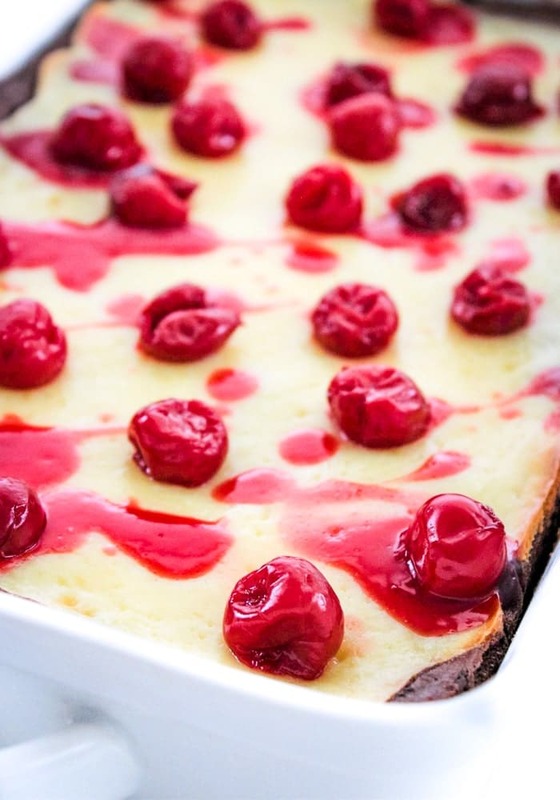 Pin Cherry Cheesecake Brownies for Later!